Those cases that do not settle will likely go to trial so that a jury can hear the evidence and render a verdict following trial with respect to whether defendant is liable. If the defendant is determined to be liable for causing the car accident, there will be an award of damages to be paid by the at-fault driver’s car insurance company. The problem in cases where the accident is caused by a drunk driver is we’re often dealing with a repeat offender. As our Boston drunk driving car accident lawyers can explain, a repeat drunk driving offender is less likely to possess a valid driver’s license due to suspensions or revocations, and may not have any car insurance. Technically, if you own a vehicle, even if you do not have a license, there can be requirement to maintain insurance (high-risk or SR-22 insurance), but those who frequently break the law, do not always follow the law in terms of having an insurance policy. One of the reasons for this is because in some cases, drunk drivers are also alcoholics who are constantly willing to put themselves and others, including their own family members, at risk at frequently continue to drive drunk when they do not possess a valid driver’s license and they do have car insurance. This is not to say that every drunk driver is an alcoholic. There are a lot of cases where people go out drinking socially and then get behind the wheel. This is by no means and excuses for driving drunk, and they should be held liable for any personal injury caused, but there mere act of driving drunk does not mean they have alcohol addiction. A recent article in the Boston Globe address the issue of how hard it is for family members and friends of alcoholics to prevent them from driving drunk. In this article a woman describes who one of her husband’s coworkers, a 64-year-old man was facing homelessness and they agreed to let this man stay in their home while he got back on his feet. They soon found, much to their surprise that he was an alcoholic. They were forced to lock up any alcohol they had in a refrigerator in the garage with a padlock and also to drive him anywhere he went as he did not have a valid license anymore. They would drive him to work and then drive to him to his favorite local bar and them pick him up and the end of the day. 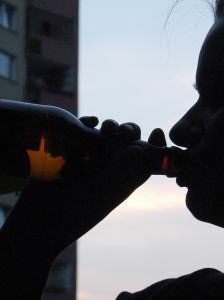 The editor of the article suggested they were enabling him to drink, but that is not uncommon for friends and family members dealing with alcoholics. The real problems started when one of his adult children lent him a car, possibly without knowing he was an alcoholic or that he had lost his driver’s license. The editor suggested they share their concerns with his adult children, and also that they should call 911 and give a detailed description to the police so he can be pulled over for drunk driving so he will be forced into some type of program even that is one that is held in jail. Aside from the emotional problems for friends and family members, if a person without car insurance is in a wreck, this can complicate matters for the plaintiffs. This does not mean there is no source of recovery, but it does mean the plaintiff will have to look elsewhere. One of the first places to look for compensation following a drunk driving accident caused by an uninsured motorist is with the plaintiff’s own car insurance company. Under the law in Massachusetts, when a person purchases a car insurance policy, the car insurance company must also provide the insurance driver with uninsured motorist coverage. This is also typically referred to as UM, UIM or UA (uninsured auto) coverage. Uninsured auto coverage is designed to compensation an insured driver for personal injury in a accident caused by the driver of an uninsured automobile. While this form of insurance is generally a good thing to have, it does not mean your own insurance company will be so quick to provide the plaintiff with a full and appropriate financial recovery. Insurance companies have various departments that operate independently of each other in certain cases. The insurance company has a marketing department, a sales department, and a claims department just to name a few. If the claims department receives a claim for uninsured motorist coverage, they will treat the claimant like any other claimant and will not treat them like a valued-customer even though the plaintiff is also that. They will fight the claim and try to make low-ball offers in many cases and this is why a plaintiff should quickly speak with an experienced Boston car accident so they have somebody on their side fighting for their rights to a full an appropriate financial recovery. This does not mean that even with an experienced attorney, they will be successful in every case, but it does greatly increase plaintiff’s chance for a successful outcome.